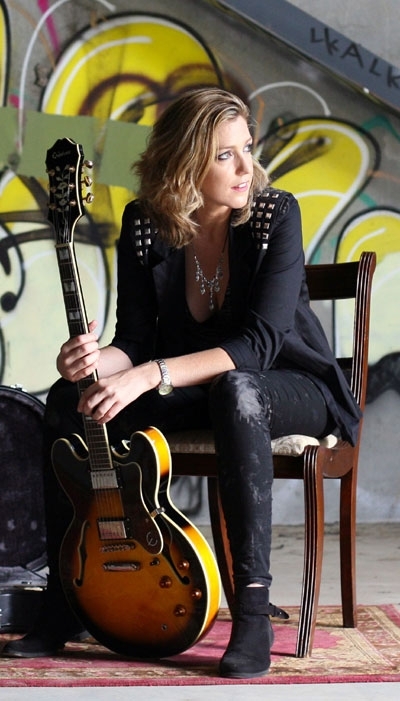 Studio Carry On Harry, Singapore invited Lecia Louise an Australian songwriter, guitarist, multi-instrumentalist and singer. The ocassion was release of her new track Mastermind. According to Lecia this track was written by her and recorded live at Serotonin studios on the Gold Coast. last single ‘Shock Me’, from EP ‘Per Te’. Make sure you check out the video too (www.facebook.com/lecialouise). viewpoint of a woman working in a male dominated industry. The track, produced and mixed by Guy Cooper and Lecia Louise aims to capture the live, raw vibe of Lecia’s 5 piece band. Her musical style contains elements of rock, folk, blues, jazz, alternative pop. Lecia’s music has seen her perform in Hong Kong, London, The USA, Dubai, Abu Dhabi, Italy, The Netherlands, The Solomon Islands, Scotland, New Zealand, Singapore and around Australia. On the show Lecia Shared some new stories about her tourin Europe among her new fans and full excitement surrounding the release of track.